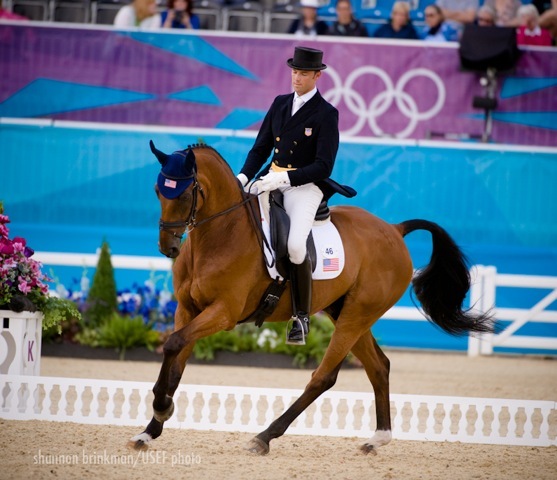 The Olympic Eventing dressage concluded today and the U.S. put in two strong performances to settle into seventh place after the first phase. The Germans have a commanding lead on a combined score of 119.10, just clear of Australia on 122.10. The home team sits third on 127. The next five teams are separated by less than 11 points, meaning that Monday’s cross country is destined to be influential. There is an unlikely leader at the top of the leaderboard as Yoshiaki Oiwa took control for Japan with Noonday de Conde on a score of 38.1. He leads the six horses from five countries who broke the 40 mark. Stefano Brecciaroli from Italy sits second with the horse he placed second on following the dressage at the 2010 Alltech FEI World Equestrian Games, Apollo WD Wendi Kurt Hoev. 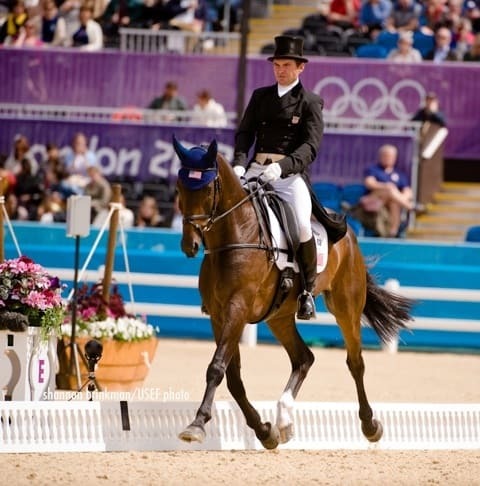 Seven-time Olympian and two-time Individual Gold medalist, Mark Todd, rounds out the top three for New Zealand with Campino. Phillip Dutton leads the way individually for the USA. He rode Jim and Arden Wildasin’s Mystery Whisper to an impressive performance – scoring 44.1 for the effort and into 19th place. 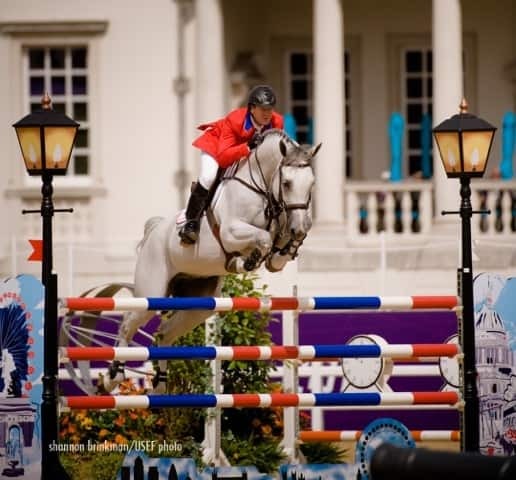 Judged by Anne-Mette Binder, Nick Burton and Gillian Rolton, Mystery Whisper had small mistakes in each halt, the first one preempted by a spook going around the main arena, but was otherwise all class. This is a new partnership, Mystery Whisper arrived from Australia in December and settled right in to Dutton’s program. The 12-year-old Australian Warmblood was bred by Heath Ryan to be a dressage horse, but rose to the CCI4* level in eventing instead. 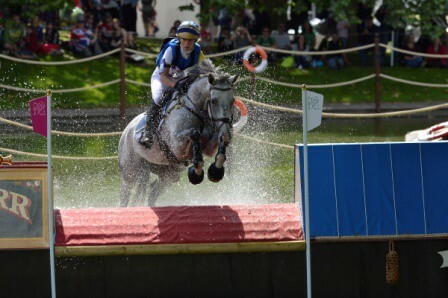 Dutton, one of the most renowned cross country riders in the world, is looking forward to tackling Sue Benson’s cross-country course tomorrow – he will have a significant wait – with a start time of 4:34. 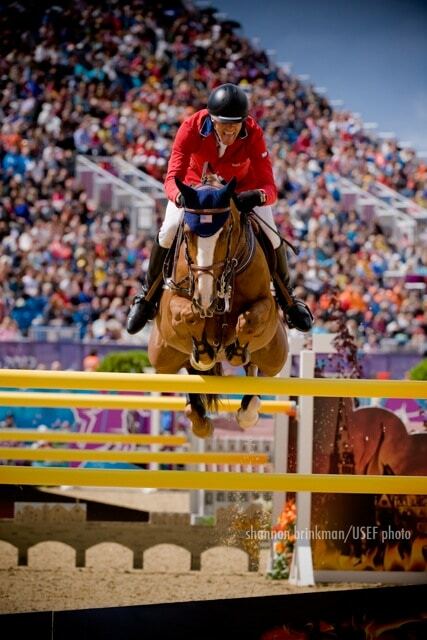 The five-time Olympian will again ride in the anchor position for Team USA. The course is built on the side of the hills of Greenwich which offers spectacular viewing but undulating ground. While the jumps are not the most difficult – the terrain will be the factor. Will Coleman had a super test on Jim Wildasin’s Twizzel – scoring 46.3 on the 16-year-old veteran Westphalian gelding. Twizzel coped remarkably well with the atmosphere that was affecting a lot of horses throughout the day. They finished in 26th place. Always a perfectionist, Coleman was disappointed with a few movements in his test but the overall picture was relaxed and forward and the judges rewarded him accordingly. 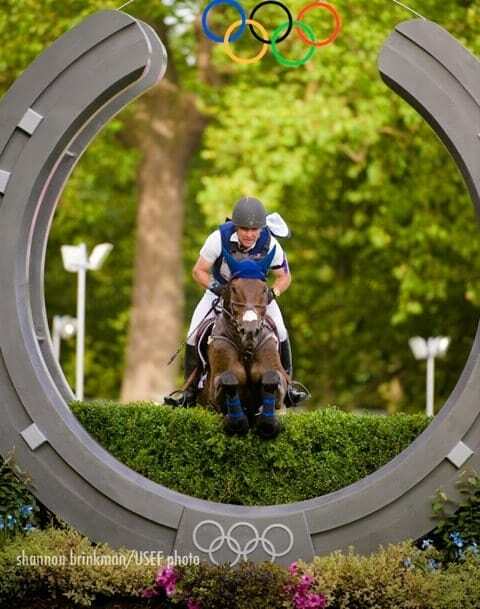 Coleman echoed Dutton’s sentiment’s on the cross country course – reinforcing the fact that the optimum time of 10 minutes and 3 seconds would be hard to get. He’s aiming for a double clear when he starts at 3:30. It was a big day for the Wildasin family, to have both of their horses top-placed for the United States. Jim, Sarah and their daughter Arden were all on hand. 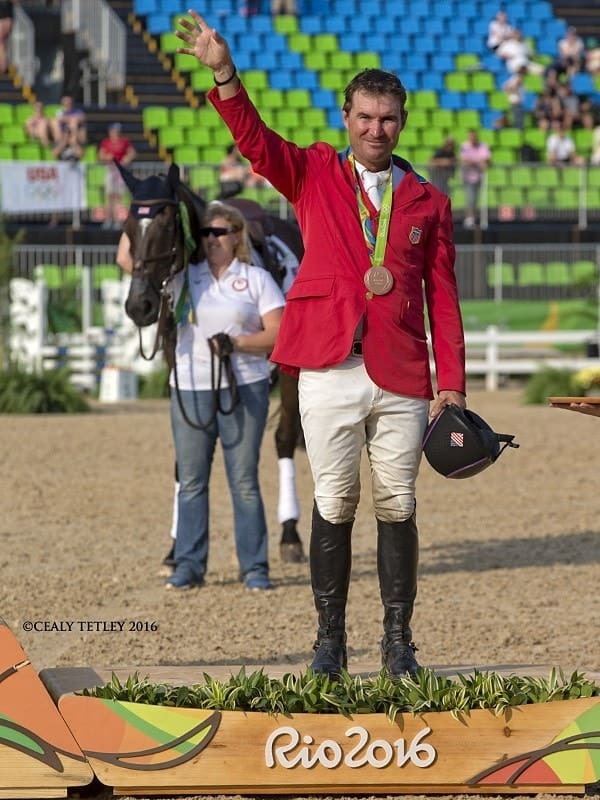 Cross-country begins at a very civilized 12:30 PM and Boyd Martin will lead the way for the United States on the Otis Barbotiere Syndicate’s Otis Barbotiere. They are in 36th place after the dressage. 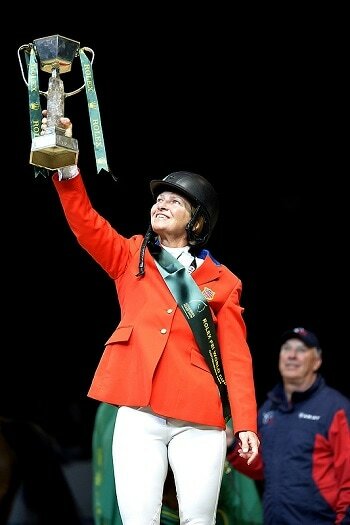 Karen O’Connor will be second out for the U.S. on the Mr. Medicott Syndicate’s Mr. Medicott at 1:26, they are on an overnight score of 48.2 in 29th place. Tiana Coudray will ride Jatial, Inc’s Ringwood Magister in the third position, taking their score of 52.0 on to the cross country course at 2:26. The American dressage horses have arrived in fine form and had their first taste of the venue today. Calecto V, Rafalca, Ravel and Wizard got to see the sights and have an easy school in Greenwich Park. Their competition begins on August 2nd.